China Drying Technology-intensive vacuum drying equipment is one of the more rapidly developed industries in the field of drying equipment in recent years. It has gradually emerged as a high-end, large-scale, sophisticated and sophisticated development trend, and has become an important force in promoting the manufacturing of drying equipment. Vacuum drying technology and equipment have positive significance in extending the shelf life of foods, preserving the original flavors and nutrients of foods, preserving the physiological activities of raw materials, enhancing the functionality of health foods, and increasing the added value of agricultural products. The health food industry and the agricultural product processing industry have a wide range of applications. The vacuum continuous drying equipment and technology have the advantages of low temperature drying, less destruction of active ingredients, looseness, easy dissolution, absorption, drying, and sterilization at the same time, thereby ensuring that the product has high active ingredients, high sterility index, and good oral absorption. Insiders pointed out that domestic companies have accelerated the study of vacuum drying technology, and some enterprises have also made breakthrough progress, reducing energy consumption to a certain extent, reducing pollution, and bringing more benefits and value to the society. Green production, low-carbon production make its due contribution. At present, China's precision vacuum drying equipment is actively moving toward the international stage and participating in international competition. 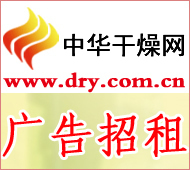 Although there is still a certain gap between the developed countries and the developed countries, according to the current development of domestic industries, in the next few years, the domestic vacuum drying equipment industry will surely catch up with them and become the backbone of the development of the domestic drying equipment industry and improve the overall technology of the industry. At the same level, it promotes the development of the domestic drying equipment industry towards high-end, precision, large-scale and complex. China's drying equipment industry has begun to enter a relatively mature stage, can better meet the actual needs of users in various fields, in view of the "green" advantages of vacuum drying equipment, applications are increasingly widespread. In terms of food and drug drying, the demand for vacuum drying equipment of larger specifications will gradually increase, and the market prospect is very large. Vacuum dryer is widely used in biochemical, chemical pharmaceutical, medical and health, agricultural research, environmental protection and other research applications, for powder drying, baking and all kinds of glass containers for disinfection and sterilization. It is particularly suitable for the rapid and efficient drying of dry heat-sensitive, easily decomposable, easily oxidizable substances and complex ingredients. 1, vacuum dryer vacuum box shell must be effectively grounded to ensure safe use. 2. The vacuum dryer vacuum box should be used in an environment where the relative humidity is less than or equal to 85% RH, and there is no corrosive gas, no strong vibration source, and strong electromagnetic field. 1. The vacuum dryer vacuum chamber is free of explosion-proof, anti-corrosion and other treatment, and must not be put into a dry, explosive and easily corrosive gas. If the dry items are wet, it is best to add a filter between the vacuum box and the vacuum pump to prevent the humid gas from entering the vacuum pump and causing the vacuum pump to malfunction. If dried items are changed to light weight after drying and small in size (for small particles), a vacuum barrier should be added in the working chamber to prevent the vacuum material (or solenoid valve) from being sucked by the dry matter. 2, vacuum dryer vacuum pump can not work for a long time, so seriously when the air to reach the requirements of dry goods, you should first close the vacuum valve, and then close the vacuum pump power supply, when the vacuum is less than the dry goods requirements, then open the vacuum valve and vacuum pump power, continue Evacuation, which will extend the life of the vacuum pump. 3, vacuum dryer after repeated use, will produce a vacuum can not be the phenomenon, at this time should be in addition to maintenance, can not open the left side of the vacuum dryer cover to avoid damage to the electrical control system. Replace the door seal or adjust the door clasps on the box to solve the problem. When the empty box drying temperature is higher than 200Â°C, slow air leakage will occur. At this time, remove the cover behind the box and use an Allen key to loosen the heater base, exchange the sealing ring or tighten the heater base to solve the problem. If the bleeder valve rubber plug is difficult to rotate, apply proper amount of grease to it. 4. The vacuum dryer should always be kept clean. The door glass should not be wiped with a reactive chemical solution and wiped with a soft cotton cloth. If the vacuum dryer is not used for a long time, wipe the exposed plating parts with neutral grease to prevent corrosion. Put on the plastic film dust cover and place it in a dry room to avoid damage to the electrical components. . Revolutionary breakthrough of carbon fiber products manufacturing technology. CIML compare to others: Less Energy, Less Material, Less Cost, Less Efficiency, Advanced Performance.